In 1728, William Byrd headed an expedition sent to determine the true boundary between Virginia and North Carolina. One night late that summer, the party camped upstream from what is now Danville, Byrd was so captured with the beauty of the land, that he eloquently prophesied a future settlement in the vicinity, where people would live “with much comfort and gaiety of Heart.” The river along which he camped was named the “Dan”, for Byrd, supposing himself to be in the land of plenty, felt he had wandered “from Dan to Beersheba”. The first white settlement (numerous Indian tribes had lived in the area) occurred downstream from Byrd’s campsite in 1792, at a spot along the river shallow enough to allow fording. It was named “Wynne’s Falls,” after the first settler. The village has a “social” reason for its origin, since it was here that pioneering Revolutionary War veterans met once a year to fish and talk over old times. 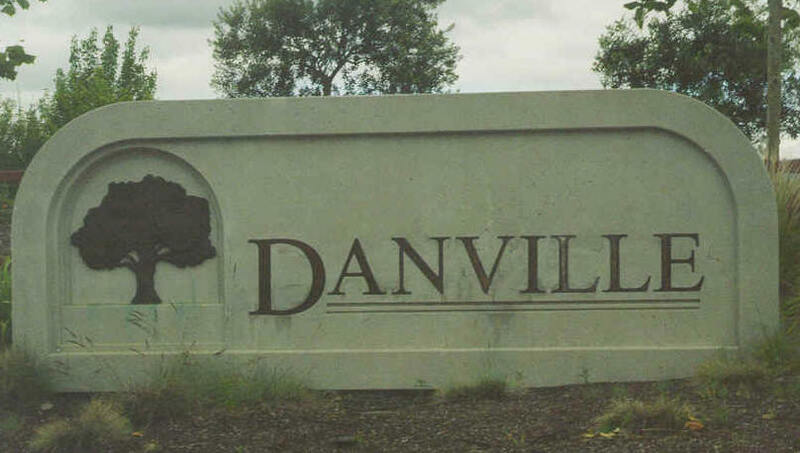 The outbreak of the War Between the States found Danville a thriving community of some 5,000 people. During those four years of war, the town was transformed into a strategic center of activity. It was a quartermaster’s depot, rail center, hospital station for confederate wounded and a prison camp. Here six tobacco warehouses were converted into prisons, housing at one time more than 5,000 captured Federal soldiers . Starving and dysentery, plus a smallpox epidemic in 1864, caused the death of 1,314 of these prisoners. Their remains now lie interred in the Danville National Cemetery. Danville became the Last Capital of the Confederacy within the space of a few days. Jefferson Davis and the temporary Capital moved to the palatial home of Major W. T. Sutherlin. Davis and his cabinet remained there until April 10, 1865. when news of Lee’s surrender forced them to flee southward. On the day of their departure, Governor William Smith arrived from Lynchburg, to establish his headquarters. On July 22, 1882, six of Danville’s enterprising citizens founded the Riverside Cotton Mills, which today is known the country over as Dan River Inc., the largest single-unit textile mill in the world. Here occurred he most famous wreck in American rail history. On September 27, 1903, “Old 97.” The Southern Railway’s crack express mail train, was running behind schedule. Its engineer “gave her full throttle,” but the speed of the train caused it to jump the tracks on a high trestle overlooking the valley of the Dan. The engine and five cars plunged into the ravine below, killing nine and injuring seven, but immortalizing the locomotive and its engineer, Steve Broady, in a now well-known song. Marker is located on U.S. 58 between Locust Lane and North Main Street at the train crash site.